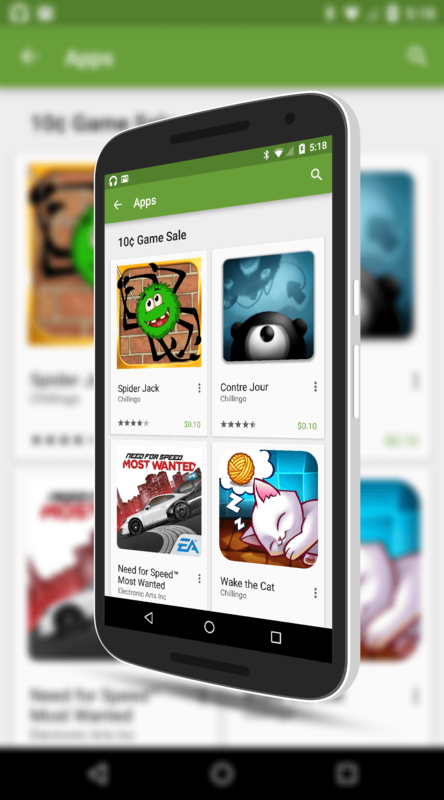 The Google Play Store has just launched a .10 Cent sale on a dozen games for Android phones and tablets. The games feature multiple titles for Chillingo but also have a few from Electronic Arts. If you have wanted to pick up a few games to try out, now is a good time for sure. There is no word on how long the sale will be lasting so if you want pick up any of the games listed after the break, better jump on it now. The three titles from Electronic Arts are as following. Again there is no limit on the number of these you purchase so all three from EA would be a whopping .30 Cents. There is no limit to the games so you could buy all 12 of them for a whopping $1.20. Yeah, not bad at all. Sales like this are not common from the Google Play Store but they are also not completely unheard of. Google will often work with developers for Black Friday and holiday season sales on apps (as well as other content like movies and television seasons) but sales like this in October are a bit more rare. Still, there are some good titles here and certainly worth the $1.20 to get all of them on your Android phone and/or tablet. Besides, if you download one that you don’t particularly enjoy, you are only out .10 Cents.